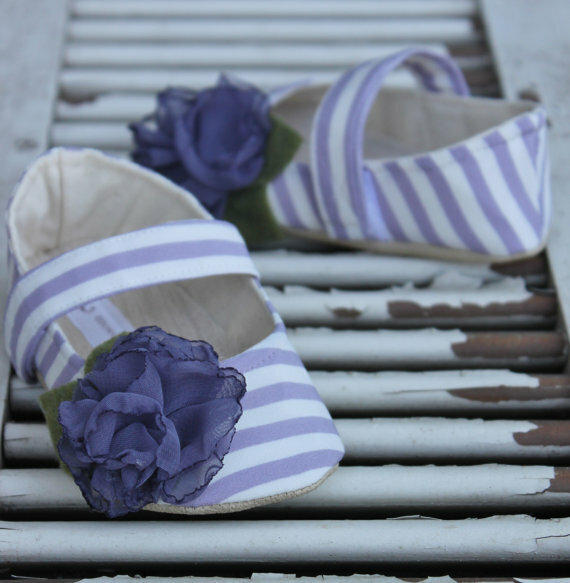 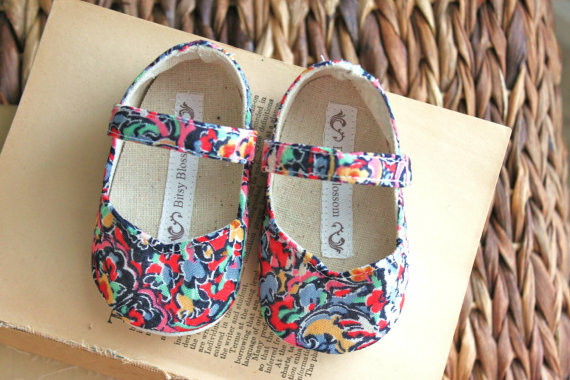 Cute soft-soled shoes for babies who are learning to walk are hard to find. Cute baby shoes are hard to find in general, I think. 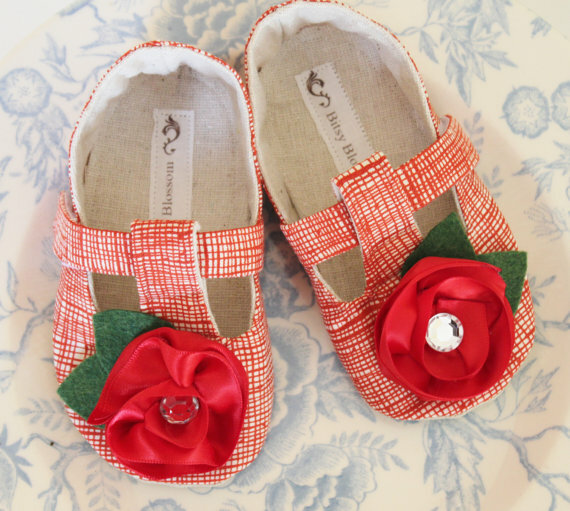 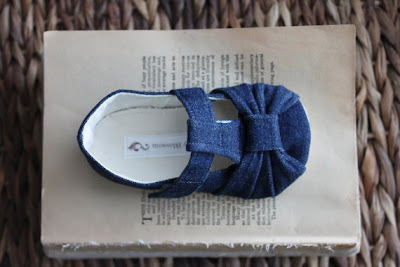 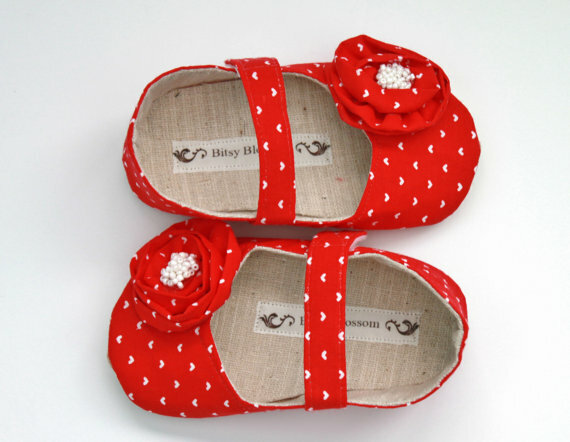 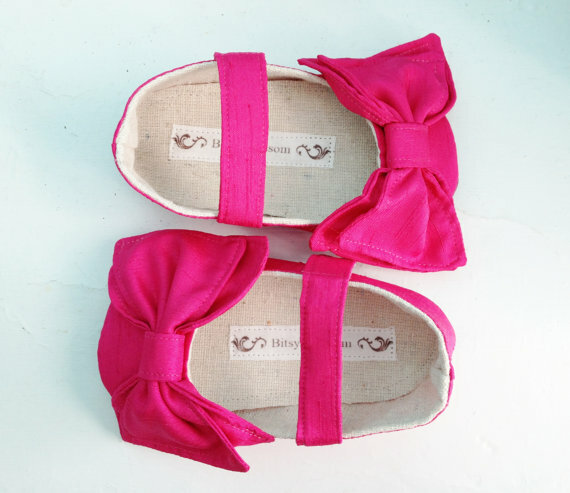 Well, I did some searching on Etsy and I found these adorable shoes by Bitsy Blossom.